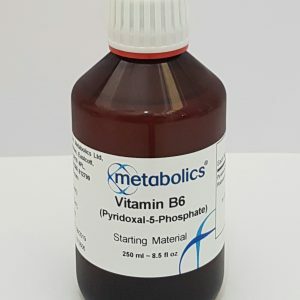 Pyridoxal-5-Phosphate (P5P) is the active coenzyme of pyridoxine and the predominant form of plasma B6. Pyridoxine Hydrochloride is converted to P5P in the liver by a zinc dependent enzyme. P5P is required for proper absorption of B12 and magnesium and for the production of gastric HCL. It is an important coenzyme in the metabolism of carbohydrates, fats and proteins, and the elongation of essential fatty acids. It is required for the production of antibodies and RBC’s. P5P facilitates the release of glycogen from the liver and muscles to be used in energy production. It also helps maintain the balance of sodium and potassium, which regulate body fluids and promote the normal functioning of the nervous and musculoskeletal systems. 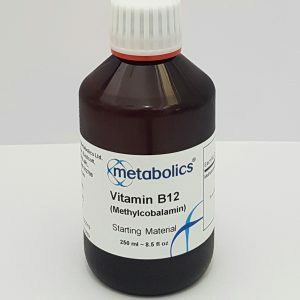 It is also involved in heme synthesis, the deamination and transamination of amino acids, deamination fo hydroxyamino acids and cysteine, conversion of trptophan to niacin, synthesis of picolinic acid, and the metabolism of most fatty acids. 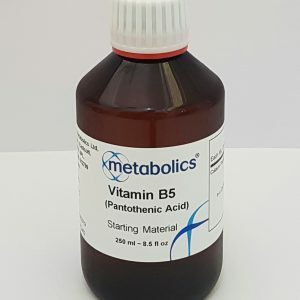 P5P is a nutrient essential in such processes as amino acid metabolism, neurotransmitter synthesis, and glycogen breakdown, and is widespread in nature but only in small amounts. Dietary intake of B6 is primarily in the form of pyridoxine, especially in vegetables, fruits and cereals. Animal products contain mainly pyriodoxamine and pyridoxal. 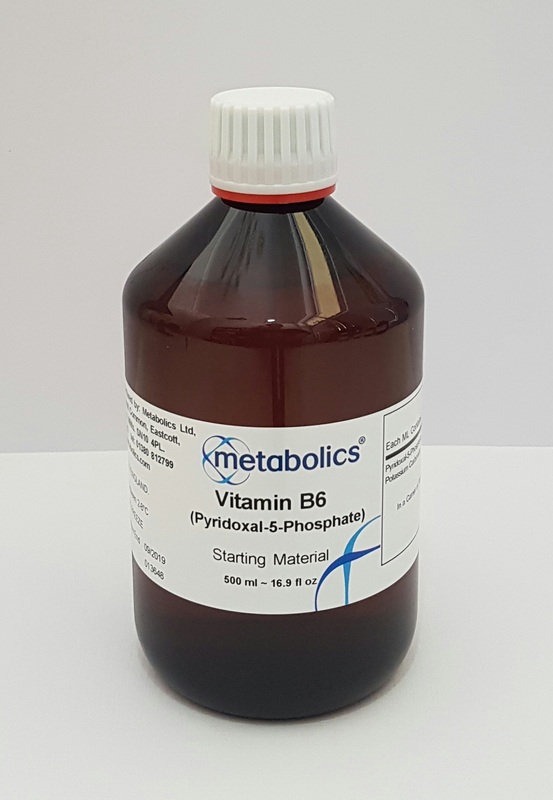 Vitamin B6 is also called pyridoxine. It is one of the 8 water-soluble B vitamins. In order for vitamins to be utilized by the body they must first be converted to P-5-P (Pyridoxal – 5 – Phosphate). After Piridoxine is absorbed it is transported to the hepatic (liver) cells where it is converted to P5P by a B2 dependent enzyme. P5P either remains in the liver cell bound to a protein (Apoenzyme) or released into the blood where it is bound to an albumin. Anaemia – may give fatigue, shortness of breath and pale skin.